At Boston Smile Center, Dr. Sasson continually strives to provide the very best cutting edge adult orthodontic treatment for our patients. We are excited to be one of the first dental practices in our area to offer the FDA approved PROPEL® technology. PROPEL® will shorten orthodontic treatments for both braces and clear aligners by almost half the time. This has become a game changer for our adult patients! While each patient varies, many patients are now able to complete their orthodontic treatment in just 3 – 10 months. Even if you have already begun treatment, adding Propel will dramatically shorten the expected treatment time. PROPEL® works with the patient’s own biology by stimulating the bone surrounding the teeth allowing the teeth to move faster and more predictably into their ideal position. 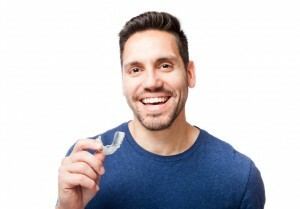 PROPEL® requires few office visits and allows our adult orthodontic patients to see their new smiles faster than ever. PROPEL® is so versatile that we can include it with our Insignia and Damon Clear braces, Invisalign clear aligner, STb and Six Month Smiles adult orthodontic treatments. At Boston Smile Center we always offer complimentary consultations, and we include free teeth whitening at the end of your treatment as well as a free water pic during treatment to keep that radiant smile bright. Contact our office today to schedule your complimentary confidential consultation.